The TypeFinder is a scientifically validated personality type assessment based upon the theories of Isabel Briggs Myers. 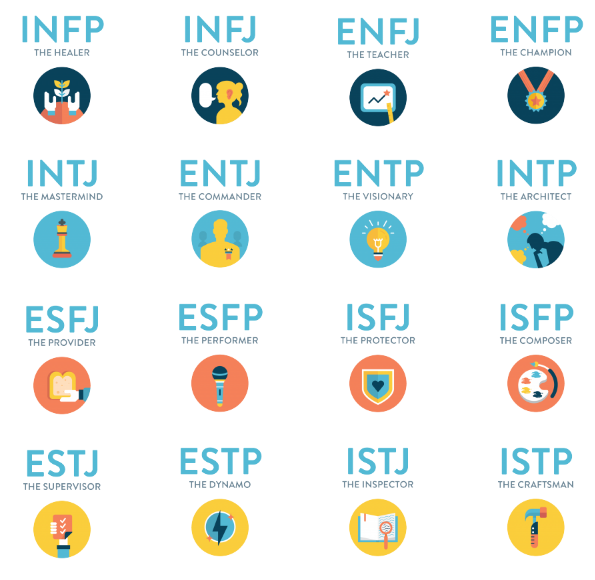 The TypeFinder leverages modern technology and innovative assessment techniques to provide you with an accurate, user-friendly tool to assess personality type for your clients, employees and team members. There’s a reason that organizations around the world, from startups to Fortune 500 companies, use personality type assessments based on Briggs Myers’ 16 types. This system of personality classification is simple enough to introduce in a 1-hour training workshop, yet versatile enough to guide a range of development activities—from leadership training to team-building sessions to conflict resolution workshops. Extraversion or Introversion: how do you manage your energy? Sensing or Intuition: how do you process information? Thinking or Feeling: how do you prioritize personal and group values? Judging or Perceiving: how do you organize your life? Based on a user’s response pattern the TypeFinder determines which personality style is preferred and scores the user’s four-letter personality type code. Read more about TypeFinder Research. Your results on each dimension are combined to create your four-letter type code, for example INTP or ESFJ. The TypeFinder costs US$29 for an individual full report. You can take the test and view a sample of your results for free, then decide if you want to pay for your full report. You’ll answer between 44 and 80 questions. The test adapts as you go, so you will answer more questions in areas where your personality type is not clear. Allow about 20-30 minutes to take the TypeFinder. The TypeFinder has been studied extensively to ensure it is valid and reliable. Your results on the TypeFinder reveal your four-letter type code, for example INTP or ESFJ. You’ll discover what each letter of your type code means, as well as what your type means for you, your relationships, and your success at work. You can view a sample report here. The TypeFinder uses adaptive technology to unlock your true personality type quickly and accurately. Learn your four-letter type, such as ENFP or ISTJ, and find out what this means for you in life and work. Discover your personal strengths so you can plan a life that sets you up for success. You will get the crucial information you need to make the most of your potential and be the best you can be. Your full report will look like this!